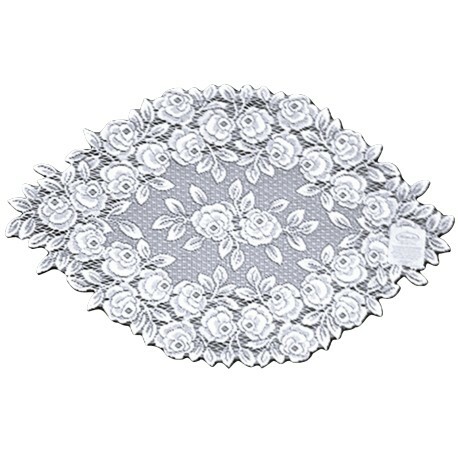 Tea Rose 14x24 white doily Heritage Lace. 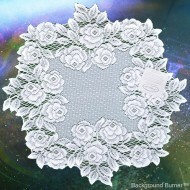 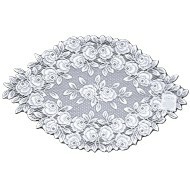 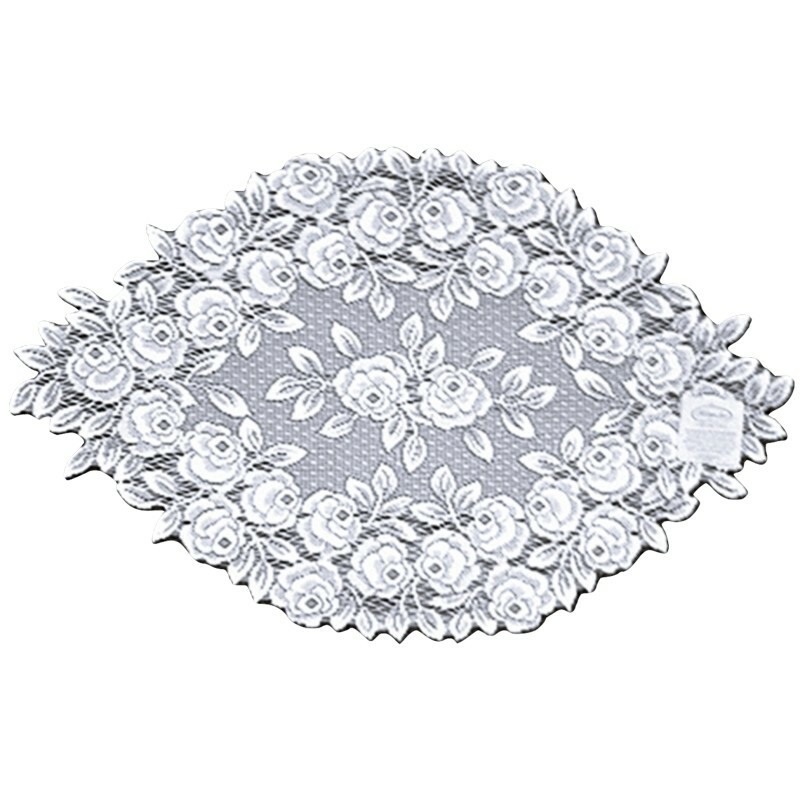 Presenting the Tea Rose doily, and let me tell you this is absolutely gorgeous with the roses pattern. 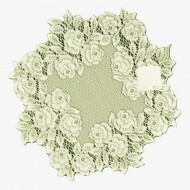 More of a medium weight lace. 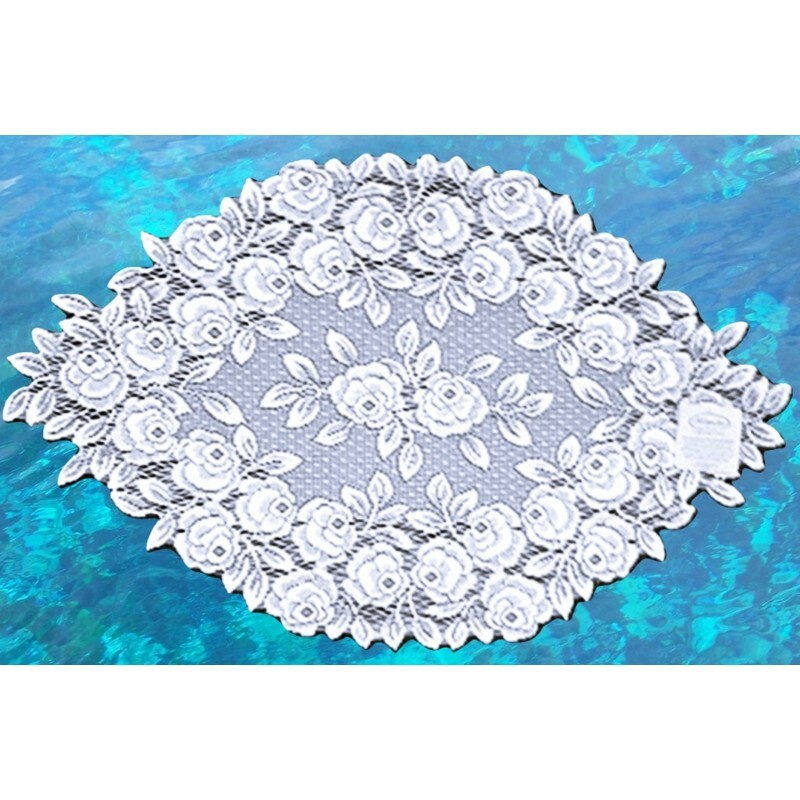 Size: 14 inches x 24 inches. 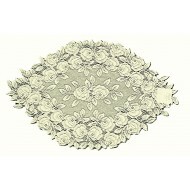 Care: Machine wash cold-gentle cycle and lay flat to dry. 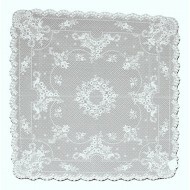 This lace washes beautifully.